Located in Harriman, New York is a family-friendly American dining experience like none other. 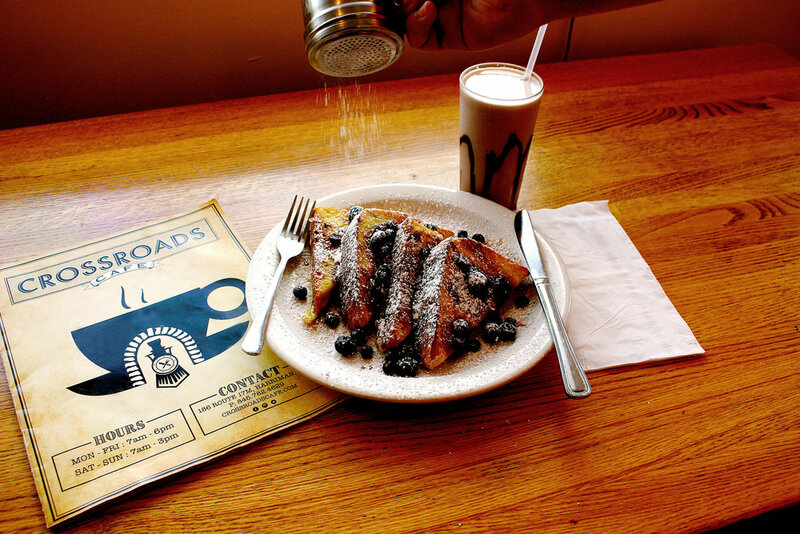 CrossRoads Cafe has been a staple for delicious breakfast and lunch dishes served in a friendly atmosphere since 2004. 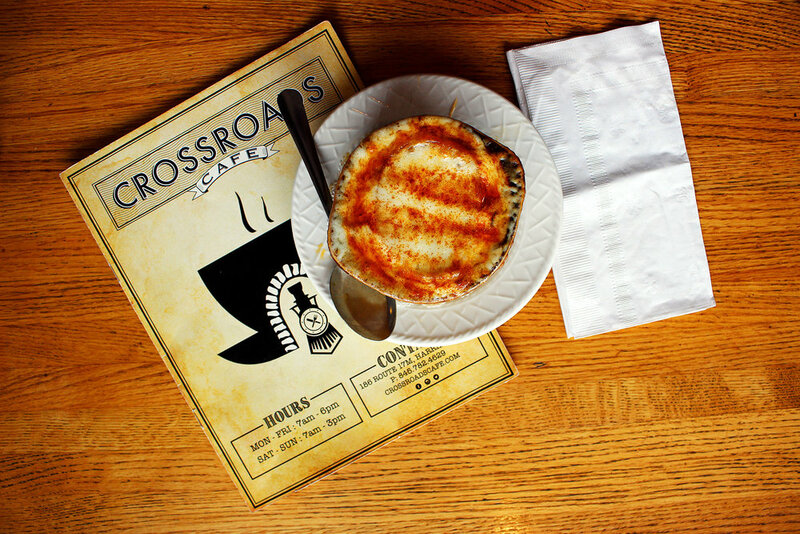 Now under new ownership, Crossroad's Cafe has taken on a fresh menu with a creative twist. Just an hour drive from Manhattan and five minutes drive from the Woodbury Commons Premium outlets. Crossroads Cafe is a must stop for hearty breakfast plates and one of a kind sandwiches that will leave you wanting more. Ham, salami, pepperoni, provolone, lettuce, tomato, onion, and oil & vinegar on Italian bread. Turkey, roast beef, american cheese, lettuce, tomato, onion, and mayo on Italian bread. Hot corned beef, sauerkraut, melted swiss, and 1,000 island on rye. Portobella mushroom, fresh mozzarella, tomato, basil, and pesto mayo served on foccacia. BBQ chicken, bacon, cheese, and french fries. Bacon cheeseburger, BBQ sauce, & sautéed onions served between two grilled cheese sandwiches. Cajun chicken cutlet, cheese, lettuce, tomato and mayo. Crispy chicken fingers served with french fries. Hot tuna, tomato, and american cheese served open faced. Oven roasted turkey, bacon, lettuce, tomato, and mayo. Served as a double decker. Ham, bacon, lettuce, tomato,and mayo. Served as a double decker. Hot steak, choice of cheese, and sautéed onions. Grilled chicken, tomato, fresh mozzarella, and pesto mayo. Chicken cutlet, melted mozzarella, and marinara served on Italian bread. Two maryland-style crab cakes served on lettuce & tomato with french fries & tartar sauce. Ham, turkey, bacon, american cheese, and 1,000 island. Steak, swiss cheese, mushrooms and onions. Crispy BBQ chicken, bacon, and cheddar cheese. Cajun chicken, bacon, and swiss cheese. Fried flounder, tartar, and american cheese. Stayed tuned for upcoming promotions.